Welcome to the worst Scottish summer weather in donkeys years. Reaching the end of the wettest summer holiday season that I can ever remember living through, it was apt that I had booked the kids into swimming lessons when I was at the caravan site for the last two weeks of the holidays. It is so wet, that the kids have even got fed up going out in it to play. They end up coming back inside – sodding wet, filty and freezing. There is just something so wrong in kids coming in from playing in July and August, with shivering bottom lips and shaking bodies. I have every sympathy for those living in the North East of England where the rain has flooded homes and streets. I am glad I don’t live close enough to a river for that to be a risk. It is however, a risk at the caravan site I am on, and I am watching the height of the river nervously. The river did burst its banks here a couple of years ago, so I am hoping that this year it doesn’t happen again. The swimming lessons here have been a revelation. In Aberdeen, my boys have had more swimming lessons than I can shake a stick at. I am well into upwards of 30 lessons or more each, and still – they could not swim with their heads above water. I find it pretty irritating that children are having to go to lessons for so long (sometimes years) before they are able to keep themselves safe if the fall into a deep puddle, or a river. I also wonder if the time it takes for children to learn to swim nowadays is more to do with the takings at the till than the ability to swim “properly”. 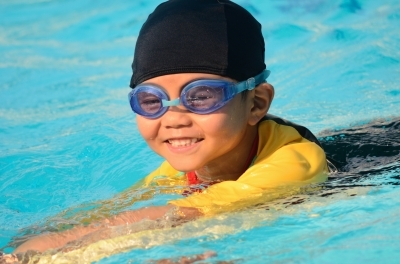 I really don’t care if my children end up being Olympic Swimmers or not, with the correct arm stroke and back kick – I just want them to be able to swim to the side of a river if they fall in. I learned to swim without swimming lessons. In fact, I don’t know anyone my age who went to my school who actually had swimming lessons. We went to swimming, our parents came in, and it was sink or swim. I swam by age of 5, without armbands, and it was the sheer determination not to be sitting at the side when my friends were all water babies. Littlest and Elder who have been doing the swimming lessons are now 9 and 11 and still can’t swim properly. It seems to be programmed into their brains that the only way to swim properly is underwater, or with the perfect stroke the instructors tried to instill into them. By whatever method, they had ended up being able to swim no problem from one side to the other UNDER WATER. They could not, however, get their heads up to take a breath. Going to swimming lessons is difficult as Middler hates having to do what he is told. Littlest and Elder like their routines as well, so swimming instructors were driving me crazy as they insisted on the correct way to do things, and it was never helping my boys to swim. As Middler will be getting lessons at his new school, I haven’t bothered to try and get him to take part this time around. I am totally destroyed and pleased at the same time however, at the difference in swimming lessons in the City and swimming lessons in the Country. I wish I had taken mine to get their lessons in the Shire long before now. After six lessons here, the boys are swimming. Not brilliantly, but they are swimming. I had said that I had concerns about them being able to swim underwater but not able to get a breath, and needn’t have bothered. When they are at Beginner 2 level up here, the kids are more or less thrown into the deep end, and made to swim. The instructor stands no nonsense, and is not standing on point to say the kids MUST use one stroke or the other in any certain way. He is getting them confident in the water – and swimming. I am taking them in for a public session after their lesson each day, and we are not allowed to go in and see them until their last day of lessons this Friday. The difference in them when I take them for a swim after their lesson is phenomenal. Maybe the difference is that the town lies close to a big river, and they want kids swimming on their own before they concentrate on stroke, I just don’t know. All I know is that in Aberdeen, at the same swimming level, they have never been allowed to go out of their depth. Yes they are floundering still, but they are managing to do a width of the pool pretty well. Elder has learned to float on his back and be able to get out of trouble. Littler has almost learned to tread water for more than 10 seconds. All in all, I am chuffed to bits that they are finally getting to grips with keeping themselves afloat in water. Long may it last. The only down side is that every day, for the time of the lesson, I have to listen to this woman going on and on and on about her kids, not sleeping, not doing this, not doing that, and not worth seeing the psychologist again as it was a load of rubbish, and on and on she goes. Any suggestions made to her, she tries to make you feel like a fool, saying she has 4 kids and has tried everything. I didn’t bother telling her about my situation and that from seeing her kids in action, I have 2 that are far worse than any of hers. “shut up then woman and don’t expect everyone to listen to you if you’re not prepared to listen to anything that anyone else has to say about it”. I didn’t bother as she is only interested in the sound of her own voice, and I felt she was quite rude actually when I suggested a sleep therapist that she could get through for the kids. She never spoke to me again, quite wrongly assuming that I was a no knowledge, no brainer with absolutely no idea of what she was talking about. Go on then woman, you’re going to have a hell of a life with those kids if you won’t listen to anyone. I am head over heels at the boys progress. Actually I feel like jumping with joy over it all. I am really looking forward to finally being able to swim with my boys in the deep end. 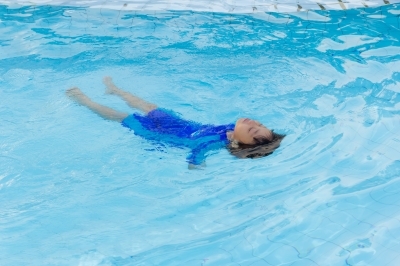 Swimming lessons are so basic that our children should be taught how to float from an early age. I also find it frustrating while watching the slow progress our children make.